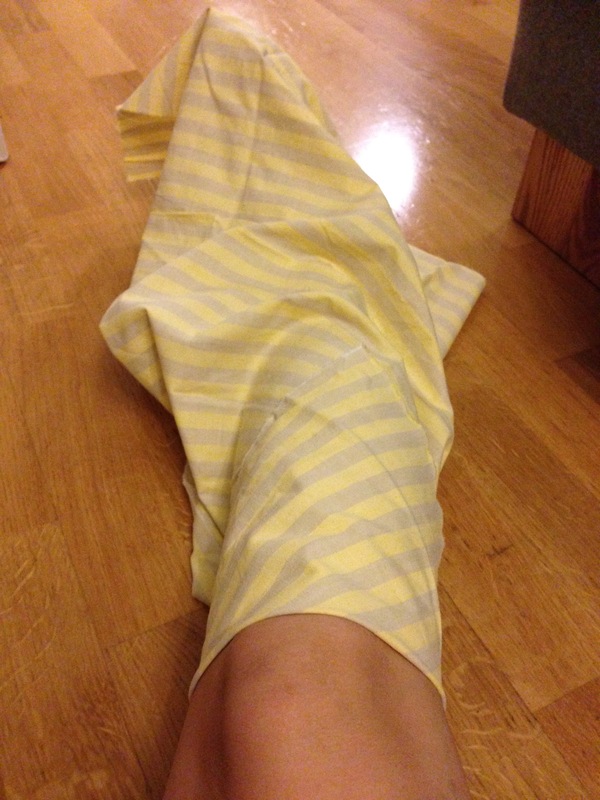 Take a piece of a sturdy cotton fabric and place it, on the bias, on your lower leg. Make sure the fabric is long enough to reach from you knee to under your foot. 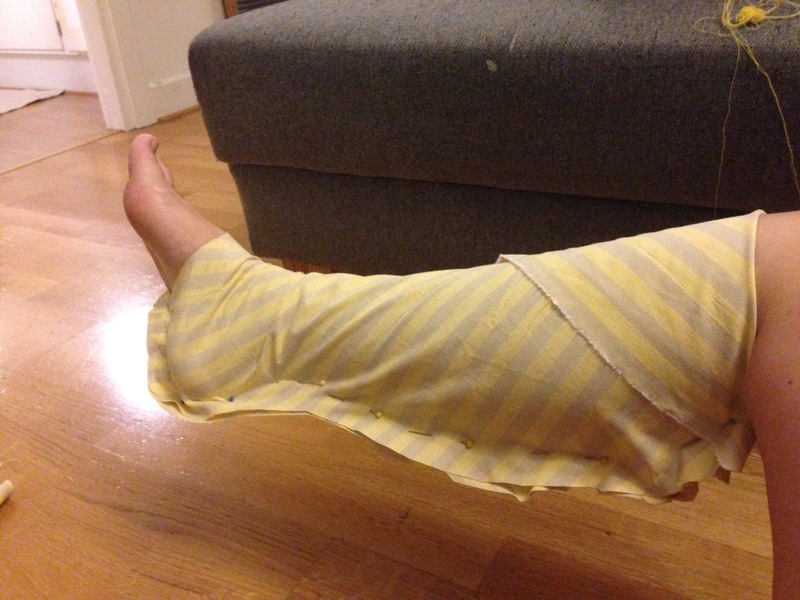 Pin the fabric on the backside of your leg and under your heal, to the middle of foot. 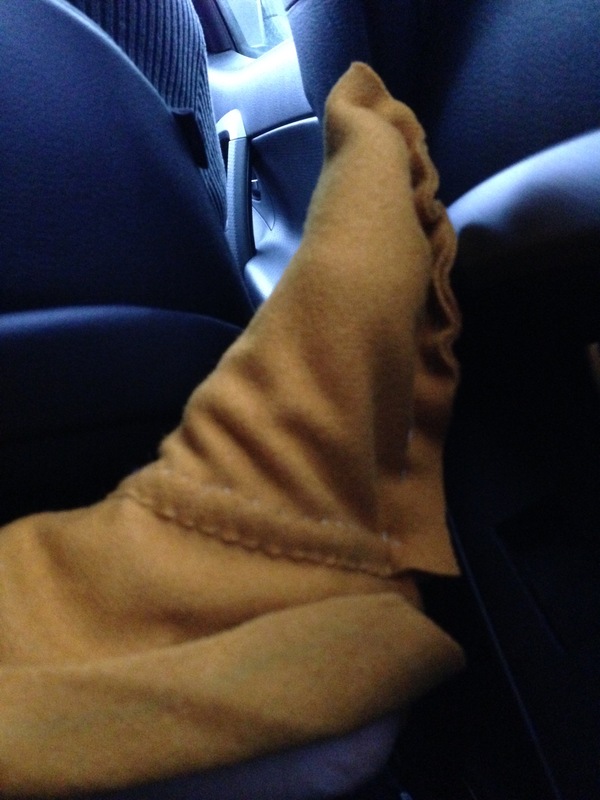 Cut away the fabric from your front part of your foot. 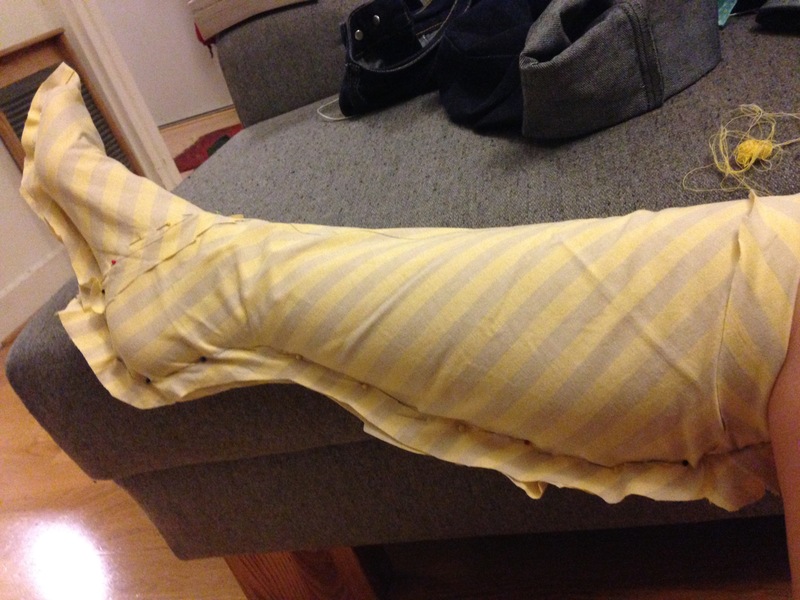 Take a piece of new fabric and wrap it over your foot. Starting where your foot meets the leg. Make sure you can bend your foot up. Pin under the foot, from toe to mid foot. The seam, from the front part, meets the seam from the leg part. Make sure that the connection of these seams will be where in the arch of the foot is highest. So the seam will in a ”hole”. Otherwise you are going to step on a hard lumps of seams. That hurts- believe me! Draw with a good pen where all pins are. Make sure to add extra material for the seams. Cut out patten from the wool. On the BIAS!!! 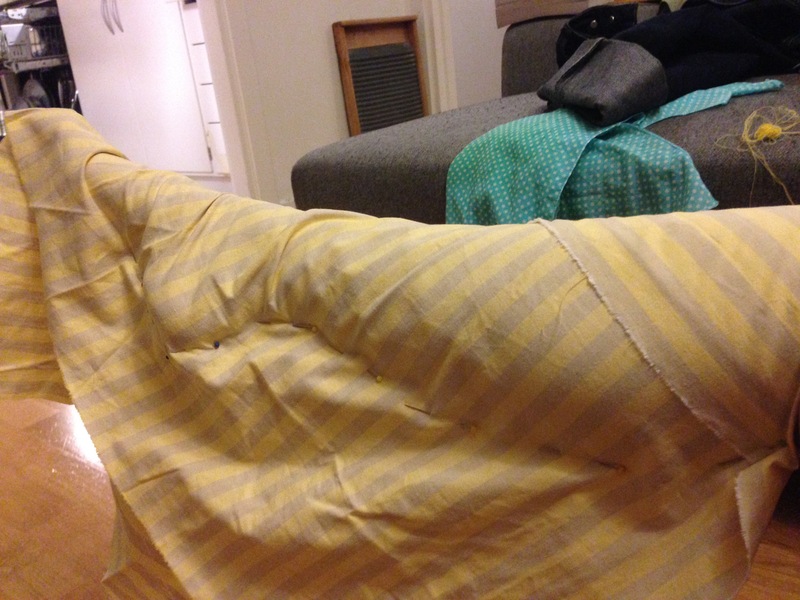 Start sewing the pieces together at the joint of the foot/leg. The move over to toe. Sew some cm. Try the hose on. Pinch it and pin it. You will now see that wool is more stretchy then cotton. Adjust the pattern as you keep sewing. Make sure to be able to take it off without breaking the seams. The best fabric for making a hose is a 2/2 twill. ← Do you wash your helmet?